Limited to 200 copies on white and multicolored vinyl (THIS). People Of The Sea Recorded and mixed at Hell's Kitchen studio during July - October 2007. My World, Your Hell Recorded and mixed at Praxis Studio during April - May 2001. 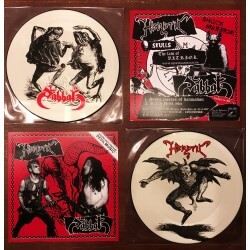 Necromantia - From the Past We Summon Thee 7"EP reissue of the Greek Black Metal classic. Comes with a printed inner sleeve. Limited to 500 copies. 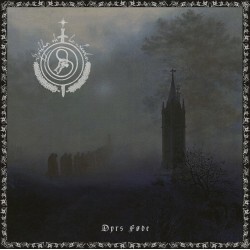 https://nordkvade.bandcamp.com/releases comes in a gatefold cover with refined artwork and a sticker limited to 300 copies. 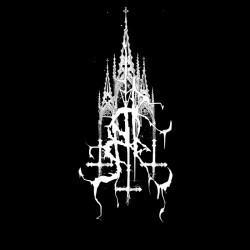 Canadian import from TOUR-DE-GARDE The unreleased follow up to the debut "Be like Death" demo, two songs of cruda and atmospheric black metal recorded in New York City in 2010. 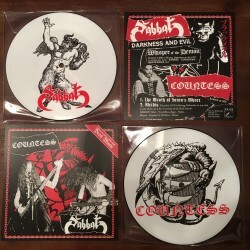 Curved Blade is featuring members of Akitsa, Ash Pool and Bone Awl. Canadian import from TOUR-DE-GARDE Edition of 300 copies. Stamped on white label. Limited to 300 copies. Includes a double-sided insert. Brandnew Songs! A Split of Japan’s most legendary bands. SABBAT attack with a true Blacking Metal smasher called „The Asian Tyrantz“ and METALUCIFER offer the first brandnew song since the “Heavy Metal Bulldozer“ album, a song about keeping the flame of your Metal youth alive. 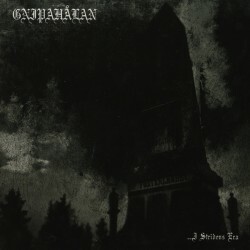 https://soundcloud.com/signalrex/darkstorm-pol-the-depths-2018 Again, Lord Darkstorm and Wened brings you pure Polish underground black metal, the way they have kept doing for the past 25 years! Limited to 200 black records, housed in a thick foldover cardboard cover. 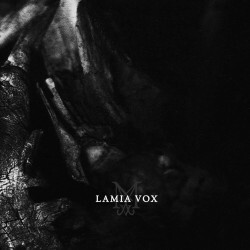 https://soundcloud.com/terratvr-possessions/lamia-vox-all-hope-abandon Accompanied with the new Mare album, "Ebony Tower", a limited EP from Lamia Vox will also be available. These two songs are composed of material once created for the Mare album, but never used besides what ended up as the outro for Ebony Tower.